An expert in the area of bacteriophage, Dr. Lisa Elliott established AusPhage in July 2014 in the face of growing concern regarding increased antimicrobial resistance in bacteria. She aims to both develop and commercialize bacteriophage preparations that can overcome the antibiotic resistance that is negatively affecting communities worldwide. As an independent consultant, she provides valuable data to various companies in all industries, as well as to universities and government organizations. She is also a trusted authority in the areas of aquaculture, microbiology, immunology, serology and phageology. Prior to forming AusPhage, Dr. Elliot worked as a senior research manager for Biologix, a biotechnology company. She was trusted to oversee all activities of the research team and laboratory work. Today, Biologix is a client of Dr. Elliott, rather than her employer. 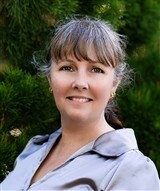 Dr. Elliott is based in Townsville, Queensland, Australia. She graduated with first-class honors from James Cook University with a bachelor’s degree in applied science, and went on the earn a Ph.D. from the same institution. Dr. Elliott continues her affiliation with the university as a postgraduate student supervisor. She is also a talented keynote speaker, presenter and lecturer. In October 2014, she spoke at the World Nutrition Forum in Munich, Germany, regarding bacteriophage therapy aquaculture. She also spoke on bacteriophage therapy in veterinary medicine at ​Townsville Veterinary Hospital in September 2014. Before that, she was a keynote speaker at a conference in Zurich, Switzerland.